Retirement Living At Its Finest. 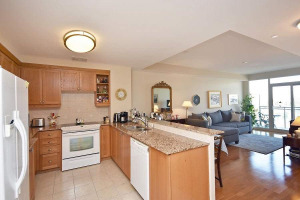 9' Ceilings, Fresh Paint, Designer Cabinetry In Kitchen/Bath, Granite Counter, Balcony. Next To The Glen Erin Inn. 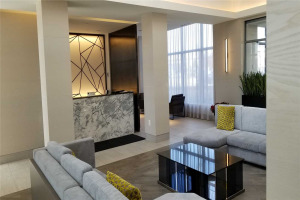 24 Hour Concierge, Many Activities For Seniors, On Site Library, Party Room, Media Room With Nightly Movies, Lunch Area, Dining Area, Surrounded By Greenbelt Conservation, Mandatory Basic Service Plan Required. Plans Customizable For Meals/Services. Fridge, Stove, D/W, M/W, Washer/Dryer. 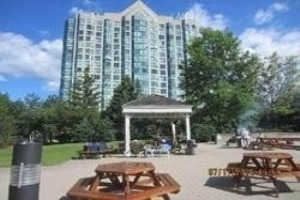 **Amazing Building** Friendly Helpful Staff, Affordable Retirement Living. Daily Shuttle Service To Shops/Trip, Daily Activities To Keep Active And Engaged. 24 Hour Emergency Health Care Support.